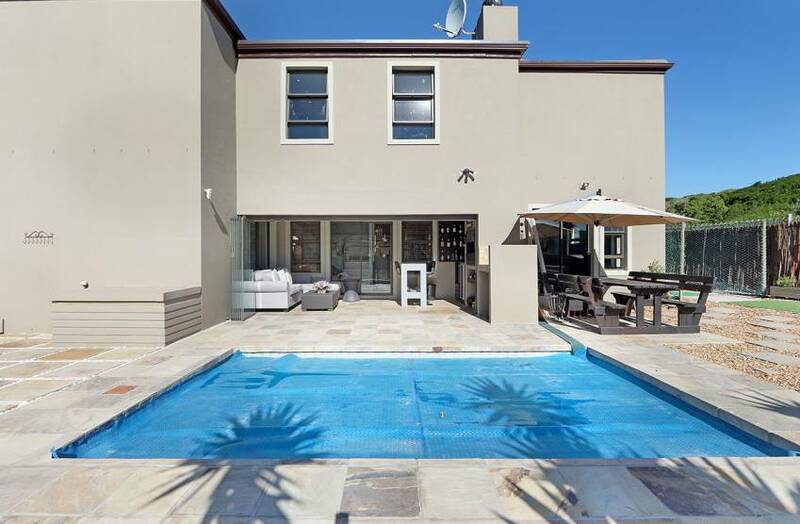 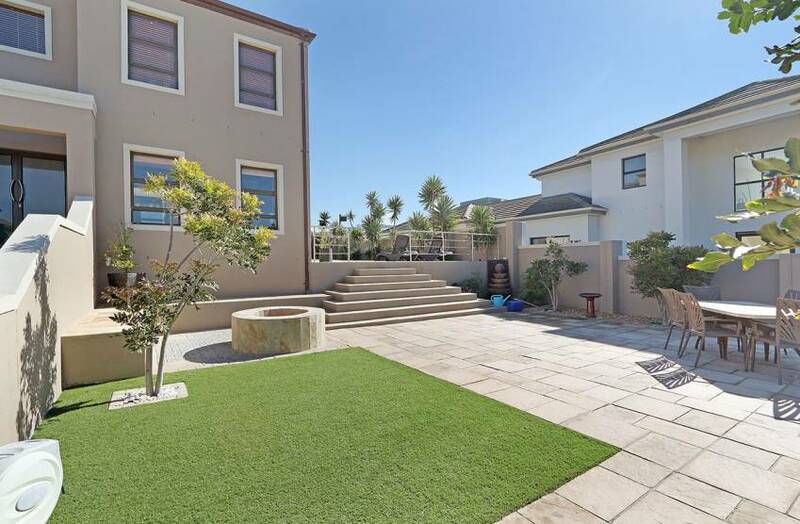 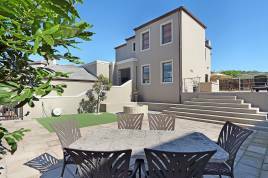 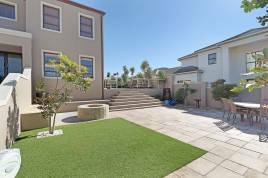 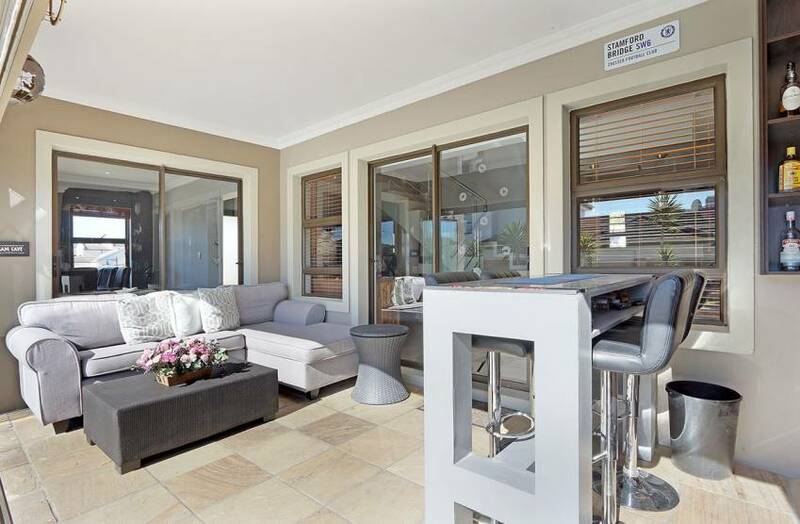 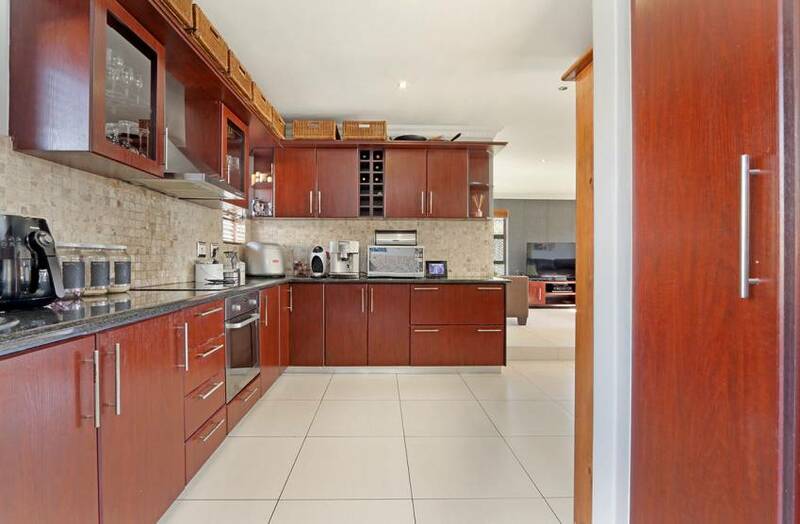 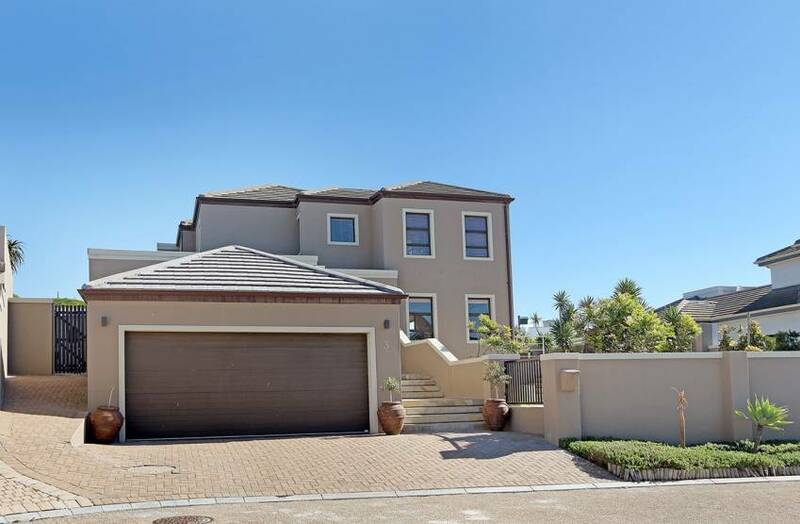 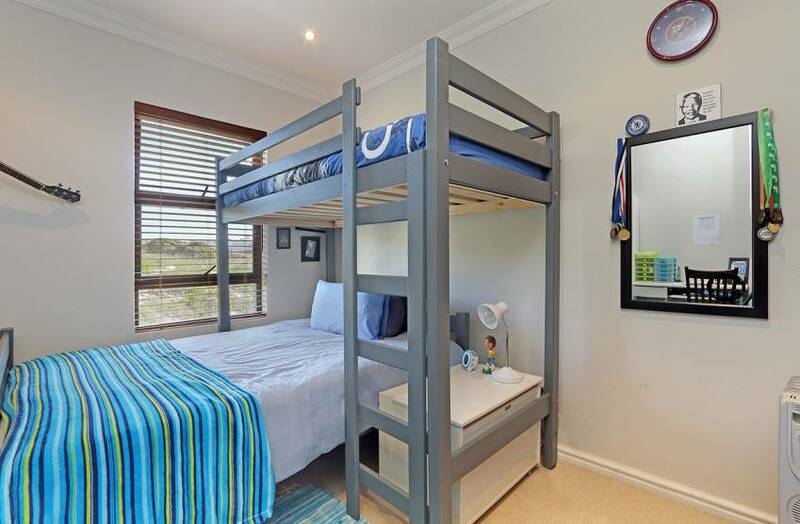 Located in Cape Town’s exciting Big Bay beachfront area of Bloubergstrand, this inviting and beautifully presented family holiday home is a wonderful setting for a vacation. 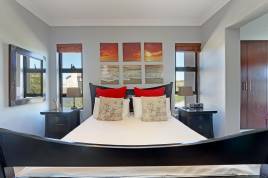 Indulge in the ultimate self-catering holiday setting located close to a popular beach, selection of restaurants and a variety of attractions for all ages, in any season. 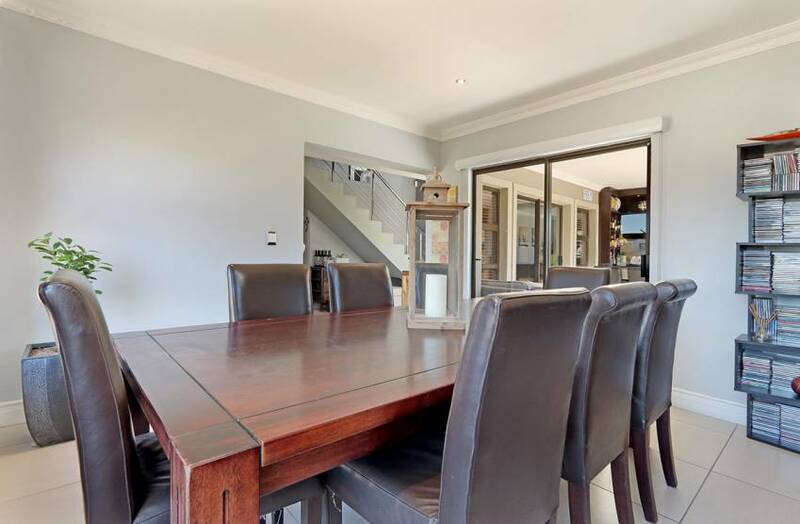 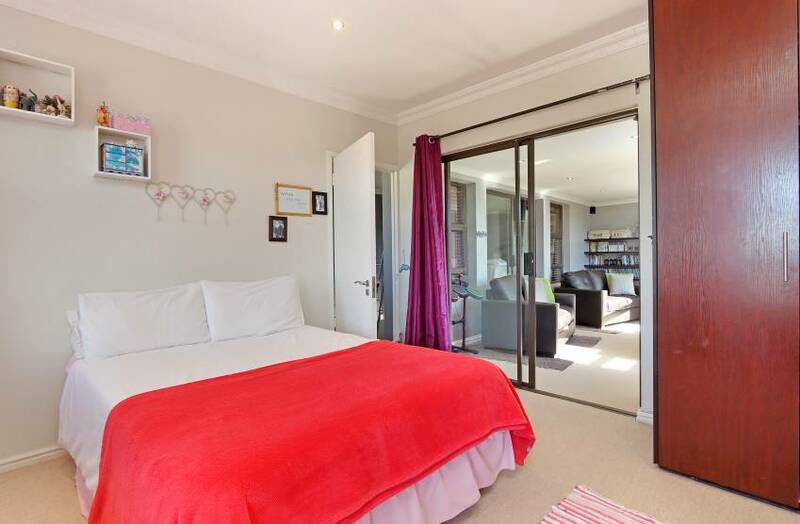 This 4 bedroom holiday home spans over 2 stories and is perfect for a large group of holiday goers, able to accommodate up to 9 guests in its 4 stylish bedrooms. There is plenty of space to entertain both inside and outside and guests can appreciate privacy during their stay, while the house is situated in a secure and safe estate as well as being equipped with an alarm. The patio is undercover and features a built-in braai and bar, as well as cosy outdoor seating and views across the garden. 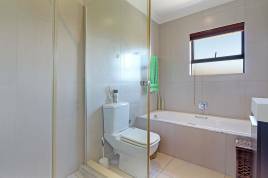 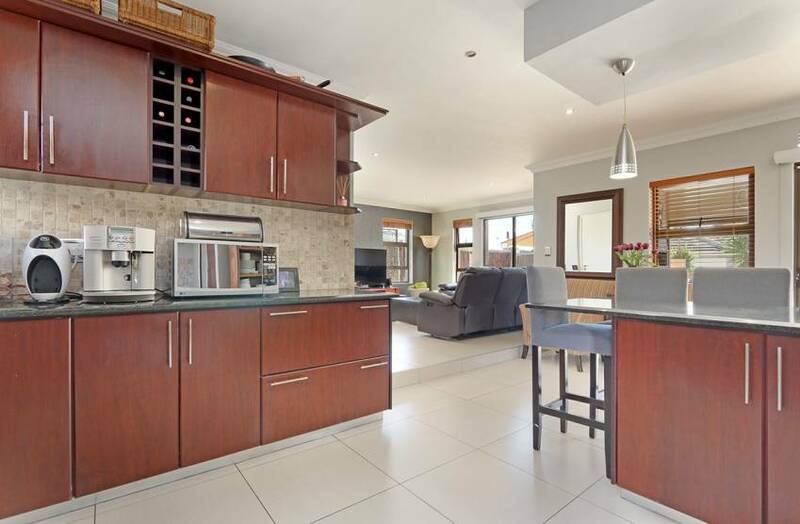 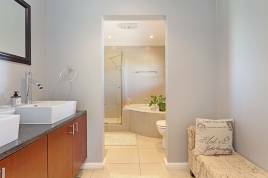 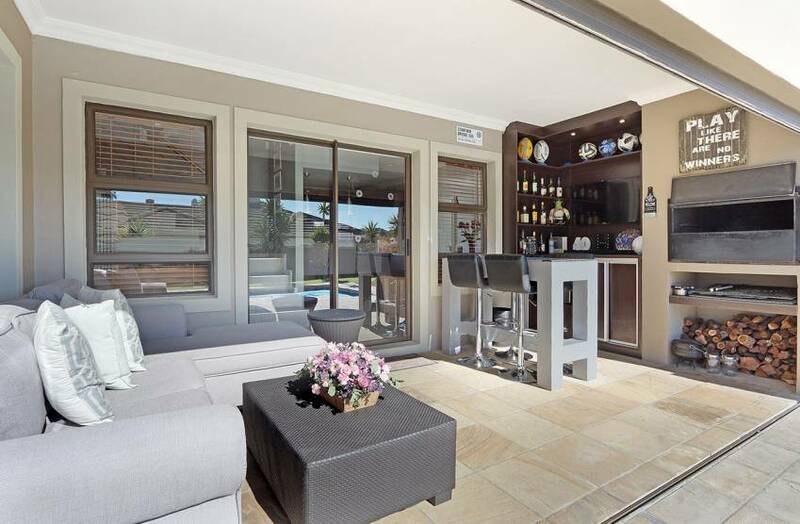 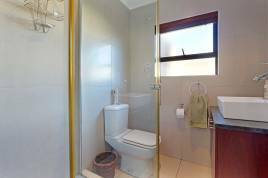 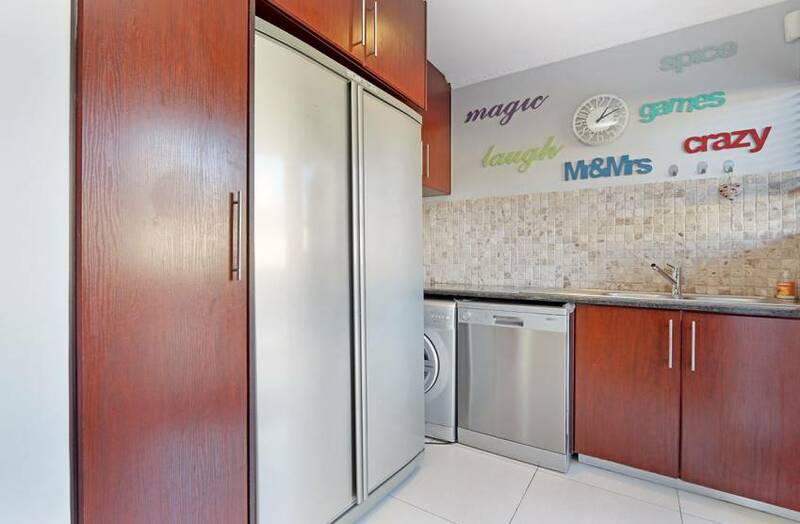 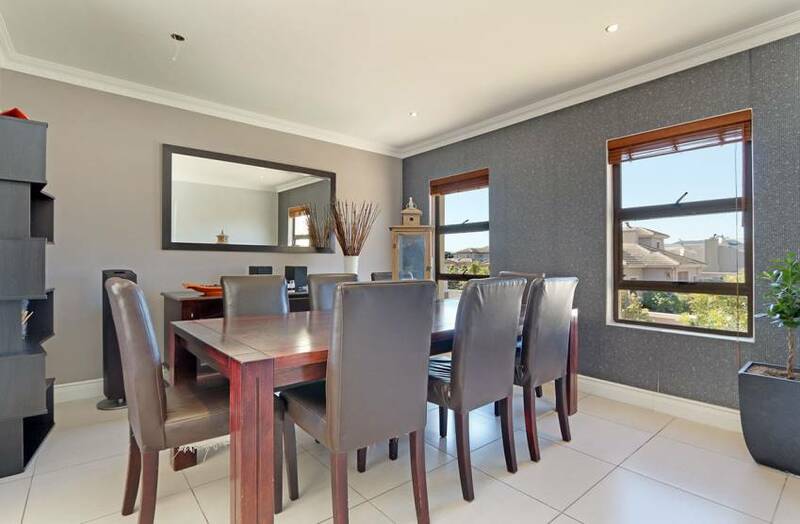 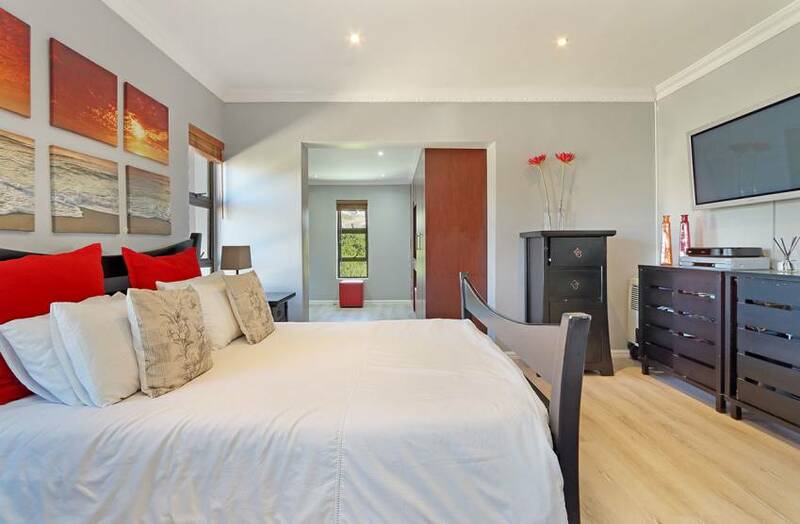 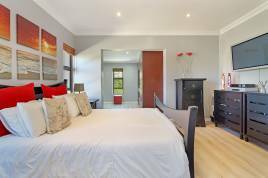 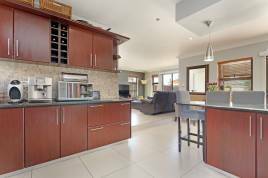 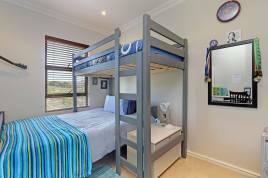 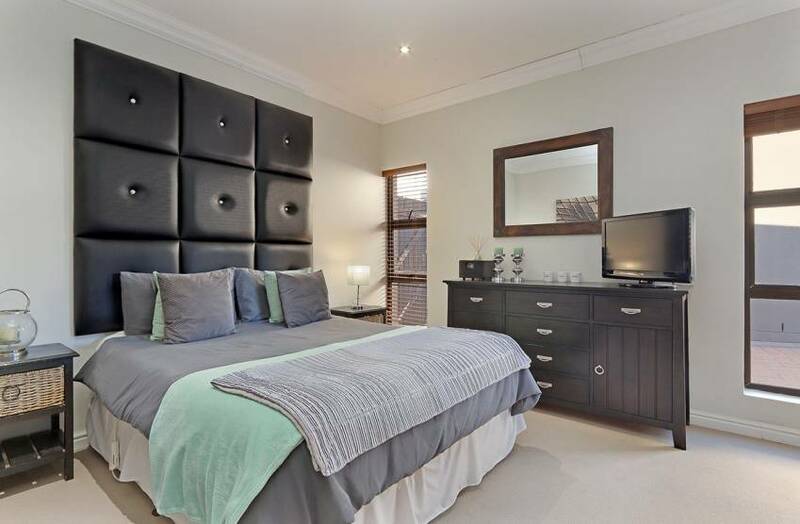 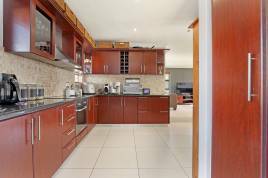 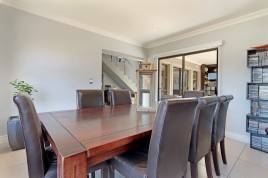 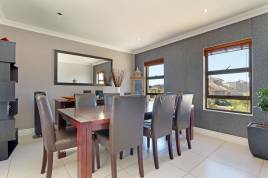 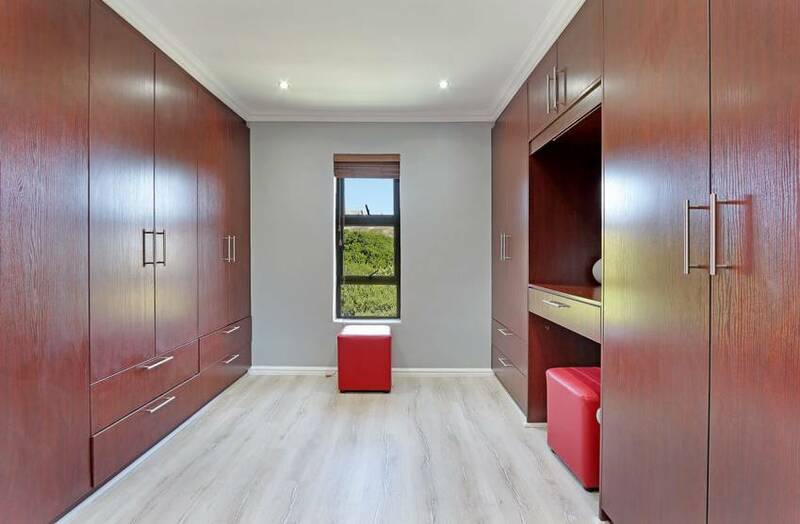 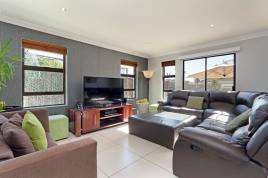 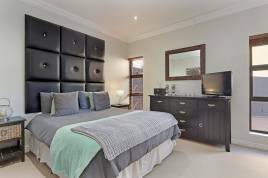 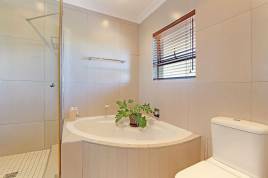 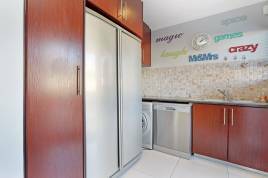 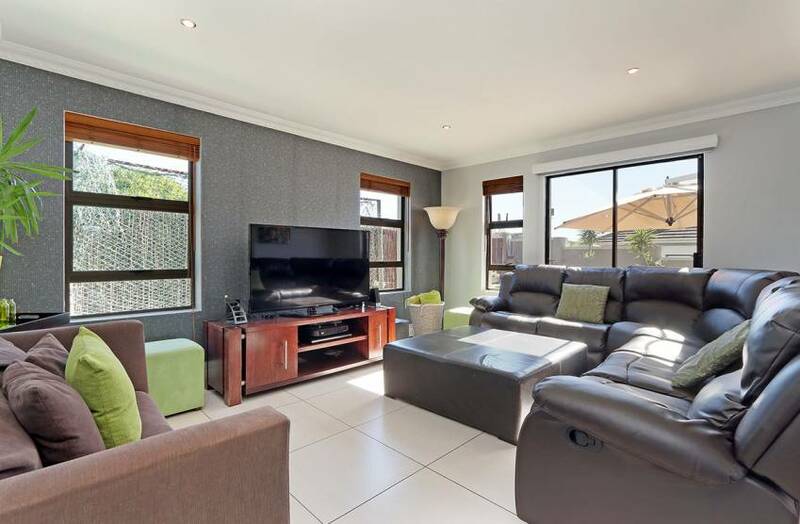 This house is also equipped with additional features for guests to experience the best stay possible, such as DStv and Wi-Fi connection, a coffee machine in the kitchen and a dishwasher and washing machine in the separate scullery area. 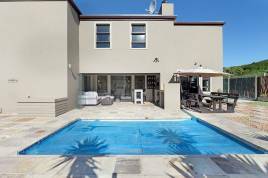 Big Bay is easily one of Cape Town’s most sought after holiday destinations, where guests can enjoy an array of attractions and appreciate exquisite views of Table Mountain and Robben Island from the beachfront. For surfers, kitesurfers and water sport enthusiasts, Big Bay boasts some of the best waves around, attracting local and international visitors all year around. 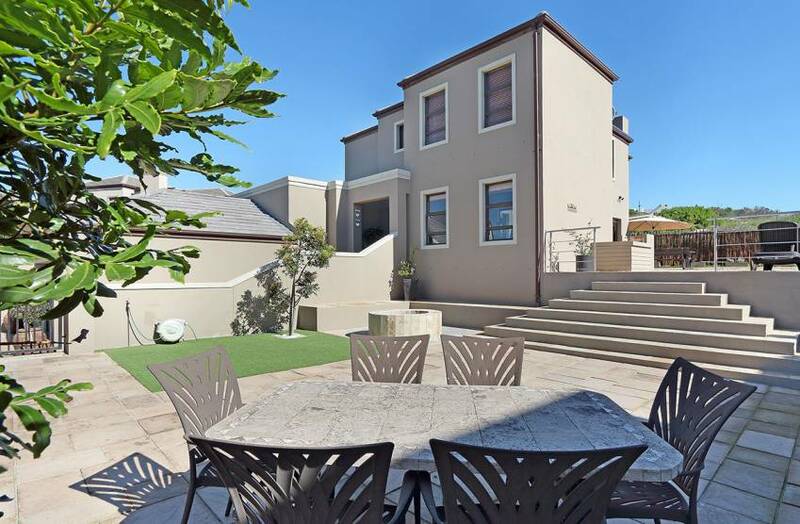 Cape Town city centre is only a short 20 minute drive away, while the breathtaking West Coast can be discovered just further along the beachfront.